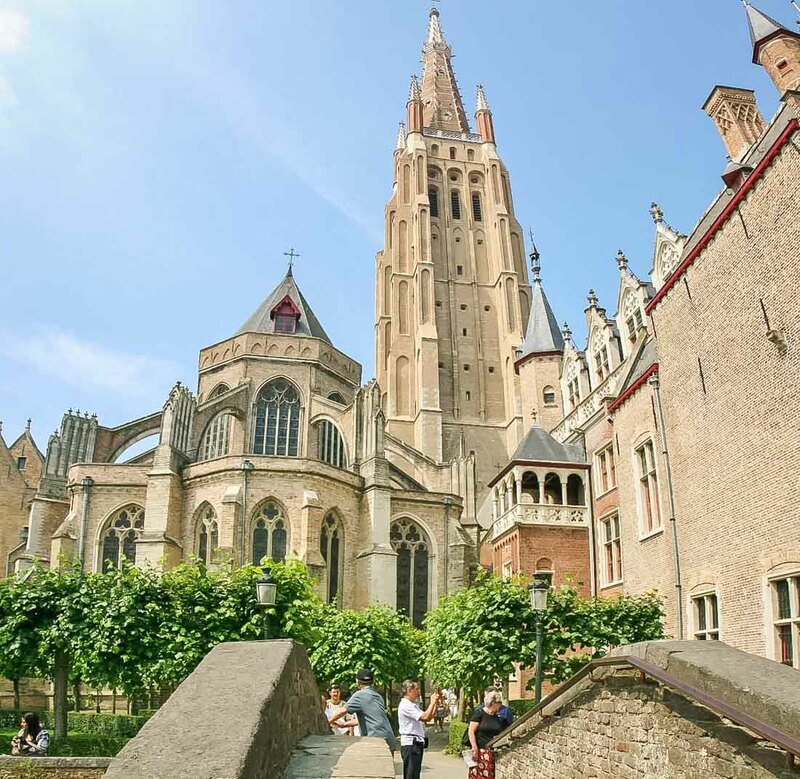 In the immediate vicinity of the Groeningemuseum and in the shadow of the tower of the Church of Our Lady and the Gruuthuse Palace you will find the picturesque Bonifacius bridge and the peaceful Arents Courtyard (Hof Arents). Entering the Arents Courtyard from the nearby Dijver you come across the Arents House on the right-hand side. It is a former Classical manor house belonging to the Arents family. It now hostst a large collection of paintings by the Brittisch artist Frank Brangwyn, to whom the "Brangwyn Museum" owes its name. Brangwyn was both a graphic artist and a painter, as well as a designer of carpets, furniture and ceramics. 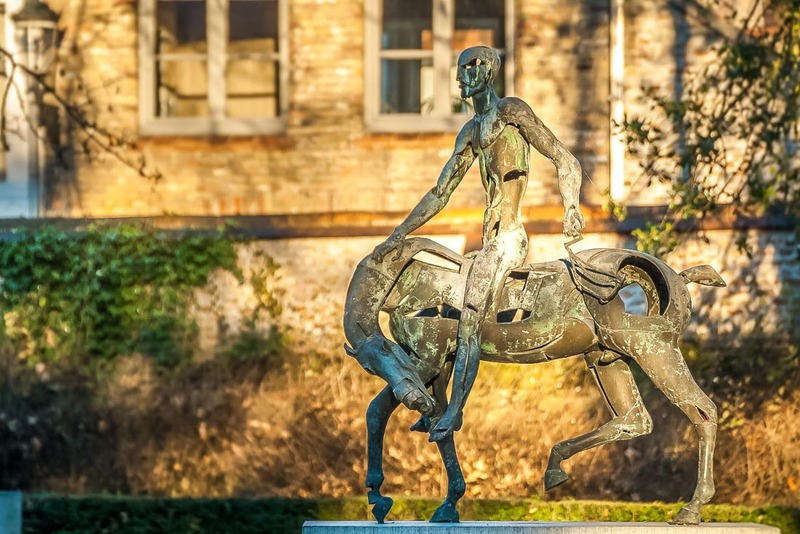 In 1936 he donated around 300 of his works to the town of Bruges which now holds the largest collection of the artist's paintings. The two columns at the centre of the Arents Courtyard were once part of the former "Waterhalle" on the Market Square. 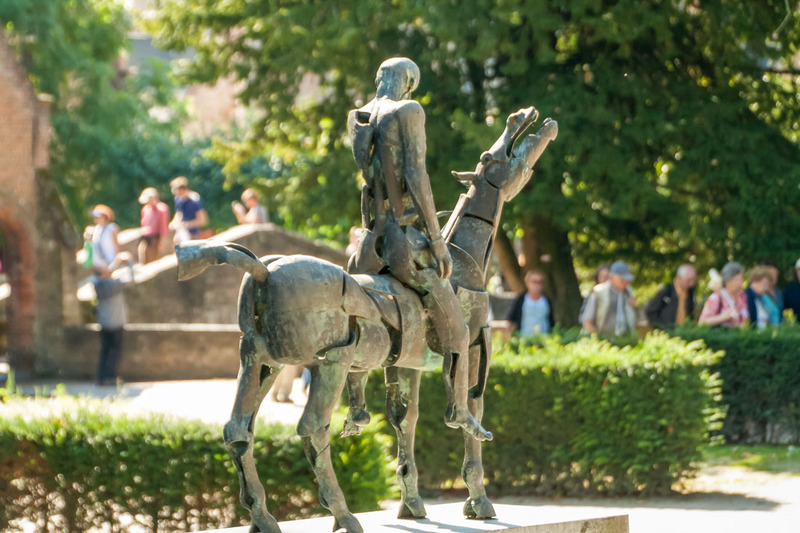 The four sculptures alongside represent the "Four Apocalyptic Knights", a work by Rik Poot. The Gothic façade on the right, on the other side of the canal, is a lateral wing of the Gruuthuse Palace. 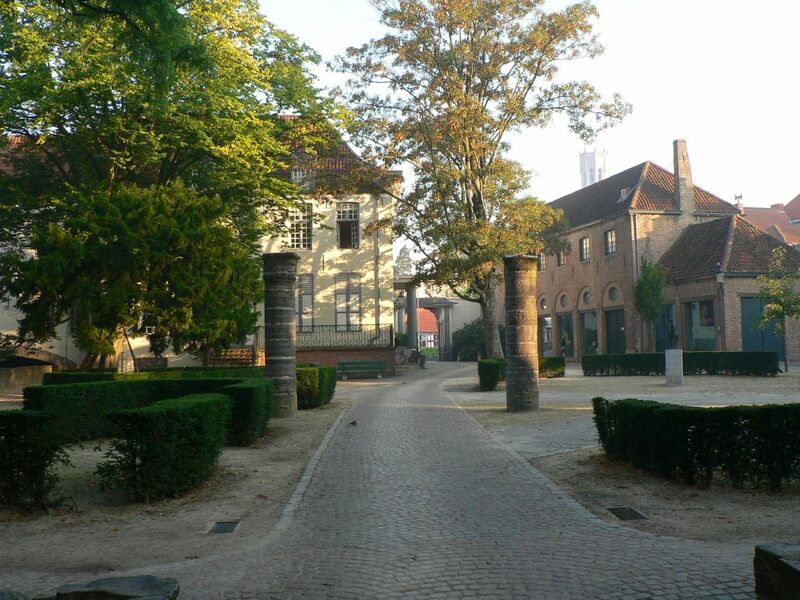 At the beginning of the 15th century this was the residence of the Lords of Gruuthuse, or "House of the Gruute". In the Middle Ages the "Gruute" was a blend of plants and herbs with wich beer was seasoned. The Lords of Gruuthuse were endowed with the exclusive right to supply this seasoning to the beer brewers. It was a highly lucrative business, because Flanders has Always had a long tradition of drinking beer. 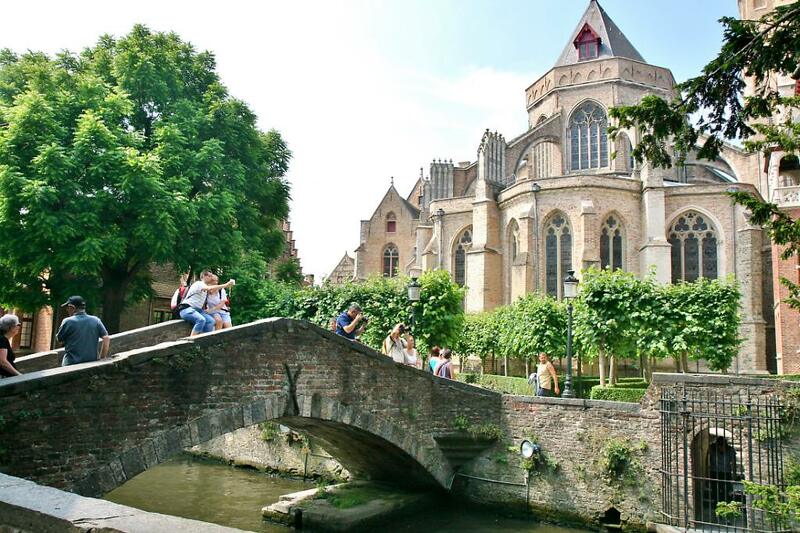 On leaving the Arents Court your attention is captivated by the picturesque Bonifacius Bridge. Though many exclaim the Bonifacius Bridge as being the oldest of the city’s many, it actually only dates back to 1910. This does little to deflect its picturesque charm and legend has it that once you cross the bridge the first person you see on the other side is the one you will marry... 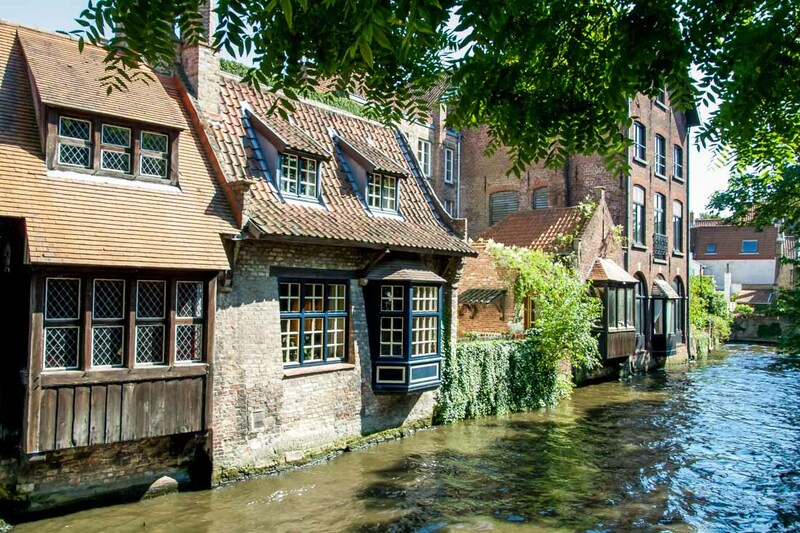 This is one of the most scenic places of Bruges. 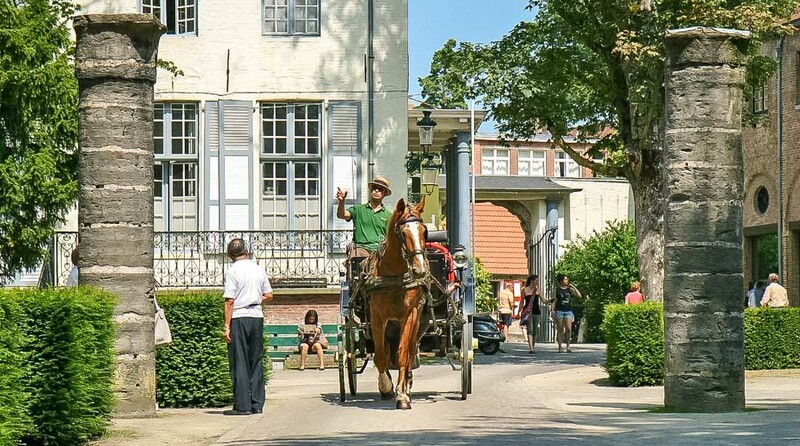 Cross the bridge over the "Reie" and be surprised by the ravishing sight of old facades along the canal and tourist boats that sail up and down. 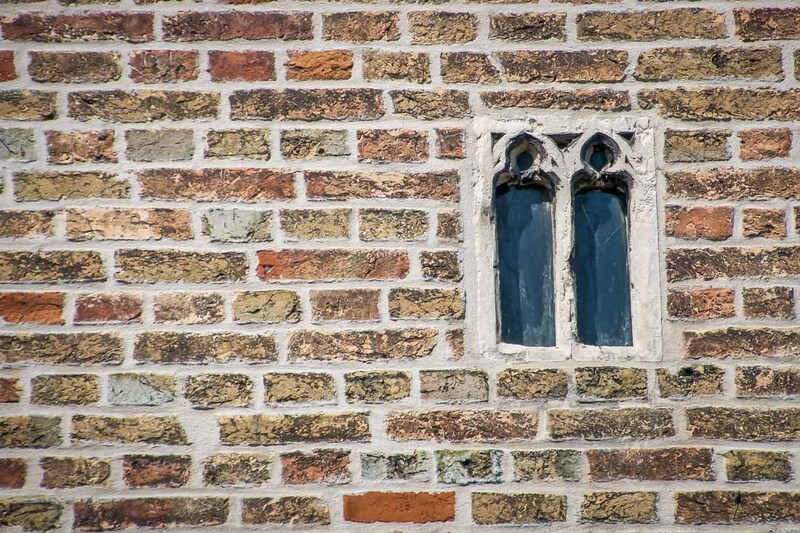 The nearby nearby Gruuthuse Museum claims to have the smallest gothic window in Europe. 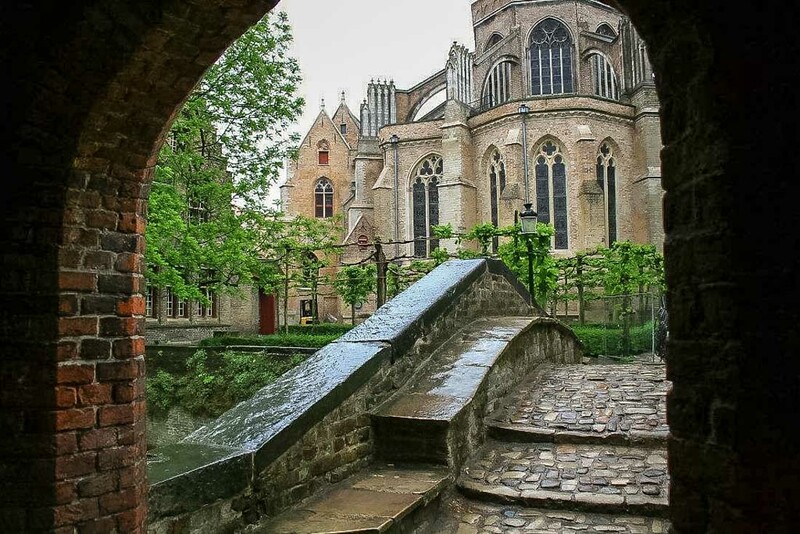 On the other side of the bridge, the forked path leading to the right takes us to the inner courtyard of the Gruuthuse Palace. 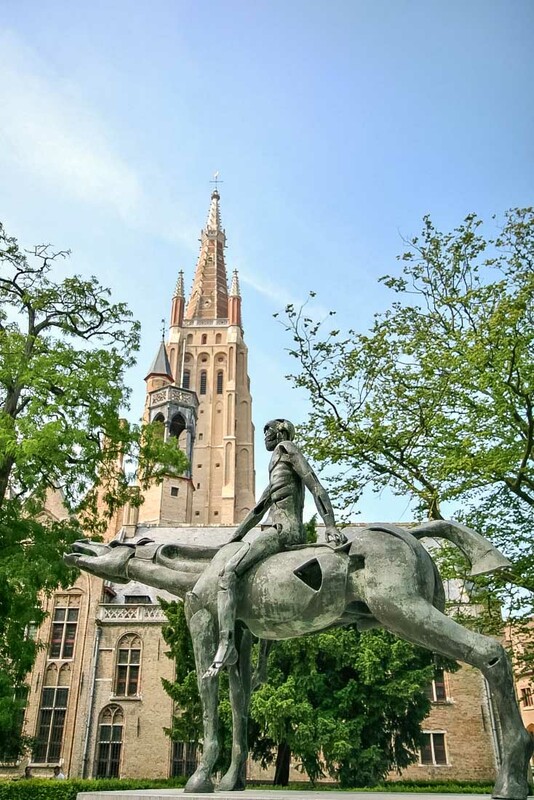 An imposing statue of a knight, Lodewijk van Gruuthuse, the most famous son of this lineage, stands above the entrance of the residence. The iGruuthuse palace is now a museum which is currently being renovated. 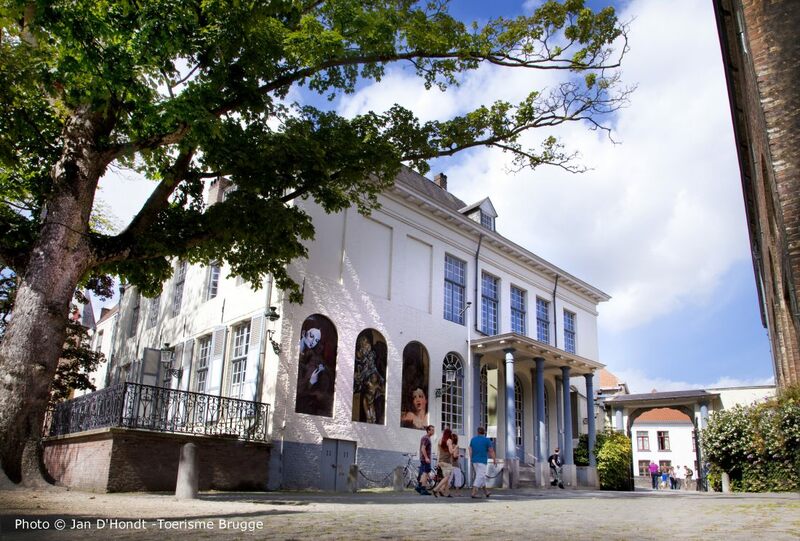 All photo's © M. Willems for visti-bruges.be except one by Jan D' Hondt for Toerisme Brugge.